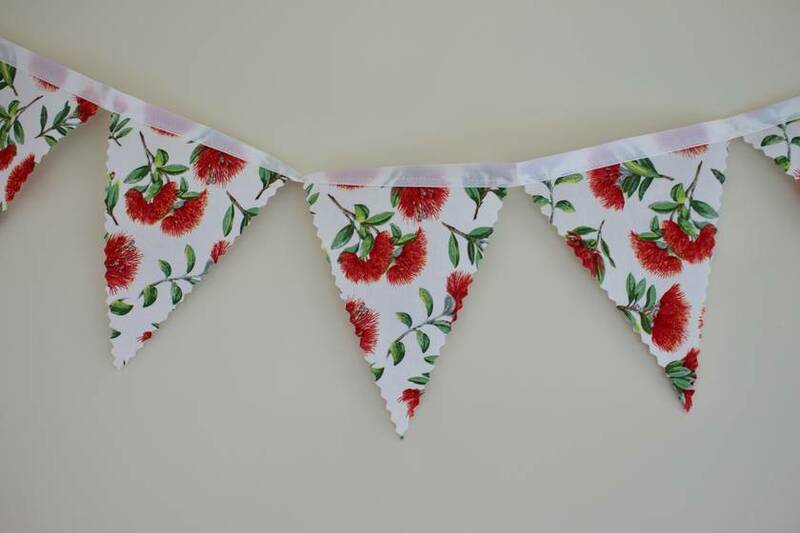 Our beautiful Pohutukawa bunting is perfect for decorating your home for Christmas, a kiwiana themed event, or even for some fun summer color around the house. 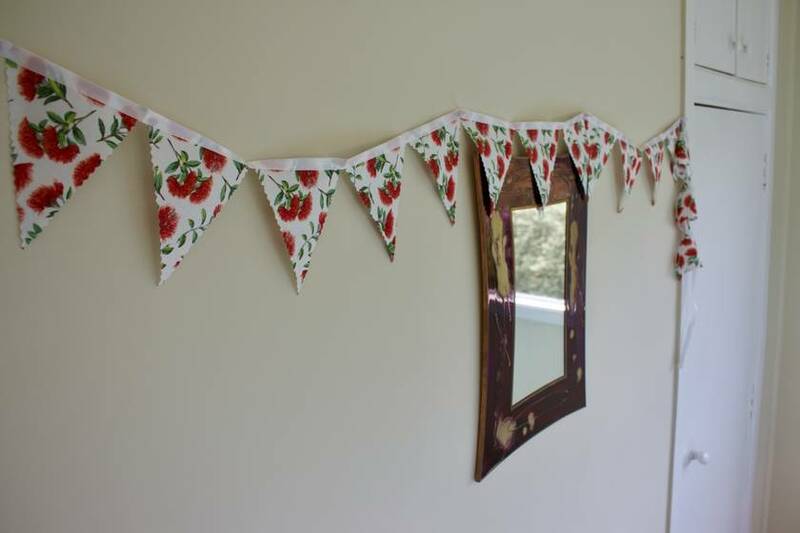 Because our bunting is long-lasting, it will become a treasured decoration in your home, whether it be for Christmas, or any another special event. 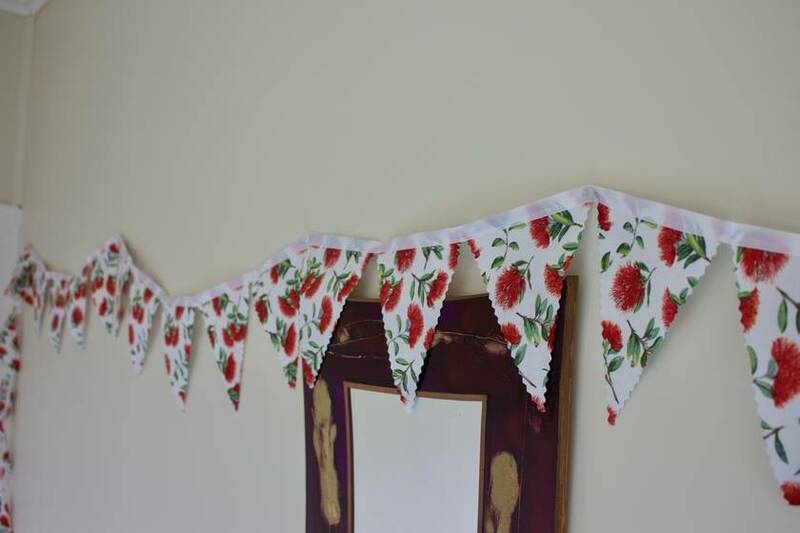 Each set of our Pohutukawa bunting is 3 metres long, has 24 flags, and has a 0.25 m length of binding ribbon at either end for tying the bunting securely. The single-sided flags are edged with zig-zags to help resist fraying—and they measure 12 cm wide by 15 cm long. The gap between the 24 flags is 1.5 cm, and the bunting ribbon will not stretch over time (unlike bias binding). 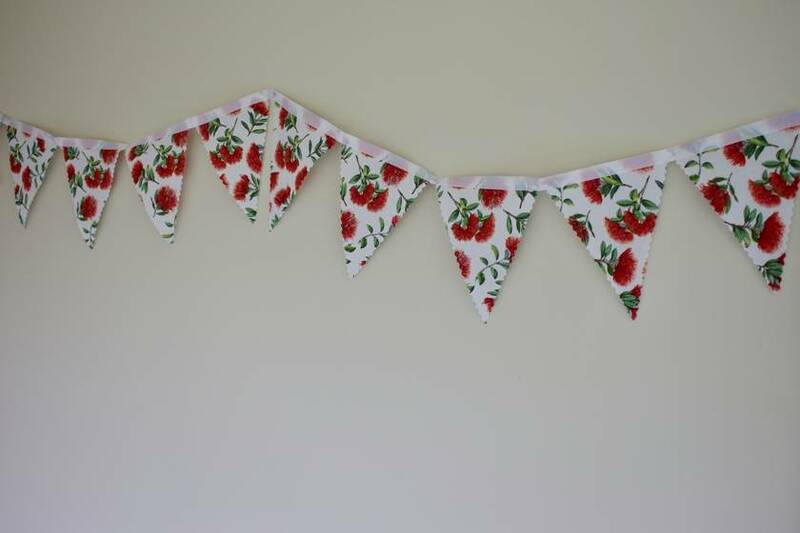 The bunting and ribbon is made with quality 100% cotton. Our bunting can also be made to smaller, or larger, lengths on request at a cost of $7/m, and shipped two days after payment has gone through. Please message us if you would like this option, and your needs, and we’ll get back to you about this as soon as possible.